Kids and adults suffer injuries even more often in the summer months. Often the response is to rush to the emergency room. The sight of blood on your loved one makes a rational assessment of the situation difficult. Usually however, it is not necessary to go to an emergency room, and many of my patients call me directly and arrange to meet me at my office so that I can take care of their laceration. Unless there is a life threatening situation this is almost always better for a number of reasons. 1) You get treated more promptly. Even if I am not immediately available, the wait in the emergency room is almost always much longer. 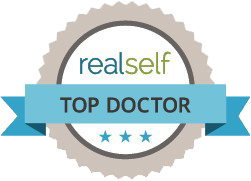 2)You get an experienced Board Certified Plastic Surgeon to treat you. 4)The Emergency Room staff never do basic techniques to improve the scar, such as trimming the damaged skin edges, and they often do not close the wound in multiple layers. 5)The emergency room will charge you a “facility fee” in addition to the fee for the suturing that will usually by far, exceed the suturing fee. Even if it is covered by insurance you will find that you probably have a large co-pay for the emergency room visit and will have to pay your share of a much larger bill. Today where we all have large deductibles this is more important than ever. So, if you or a loved one has an injury, rather than go to the emergency room, call me directly. My cell phone is (216) 570-2241. There may be a fee, but this will be reasonable. I am not available on Friday night or Saturday.